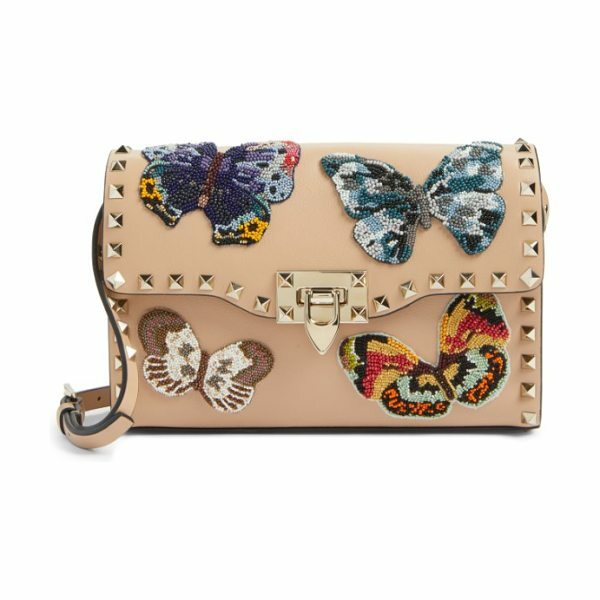 Exquisitely beaded butterflies-the fashion house's mascot-colorfully flit across this calfskin leather bag with a structured silhouette. 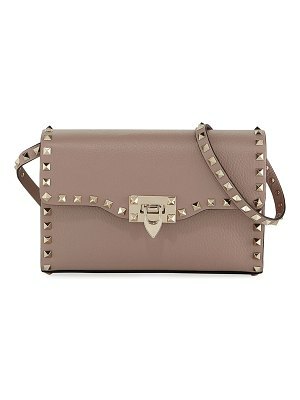 Signature rockstuds trace the flap and detachable shoulder strap, countering the playful embellishment with polished edge. 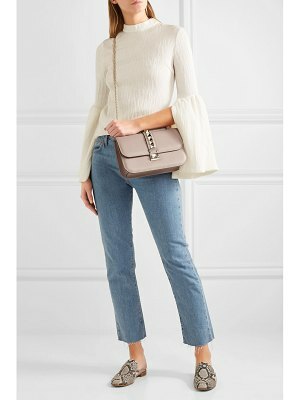 Style Name: Valentino Medium Rockstud Butterfly Leather Shoulder Bag. 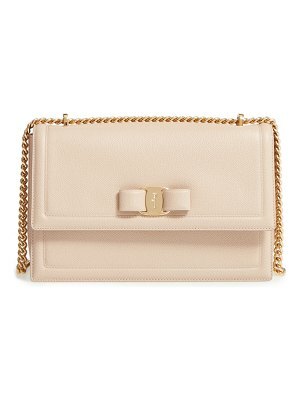 Style Number: 5347606. Available in stores.